The new 'Star Trek' movie debuts on Friday, but while you're waiting for the film that promises to relaunch the franchise, take a look at our picks for the most ridiculous moments in the history of 'Star Trek' comic books, put together by Chris Sims of The Invincible Super-Blog. If Captain Kirk tells you he wants to show you his Little Engineer, he's probably not referring to what you think. Probably. 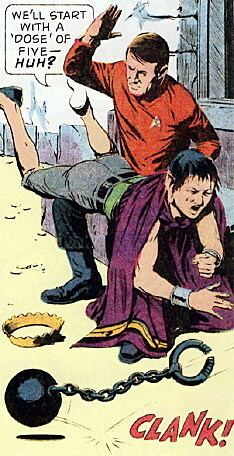 On Vulcan, it is considered highly logical to keep one's pimp hand strong. 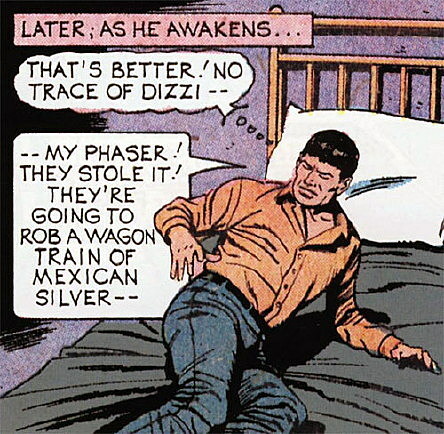 And thus, Star Trek/Gunsmoke fan-fiction was born. It's worth noting here that Kirk is the only one who realizes how awesome it is that he's being flipped off by a giant robot in space. And that's why he's the Captain. 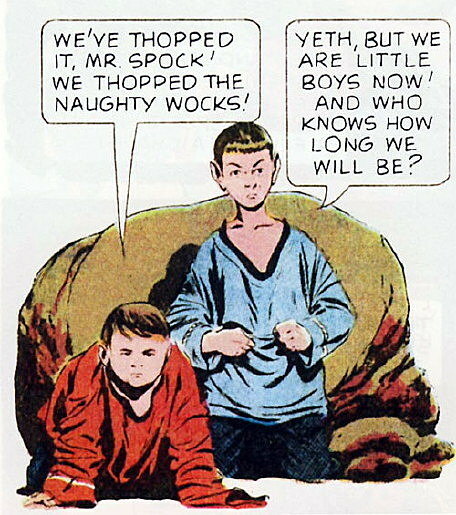 If Scotty ever offers to tell you about the time he "thopped the naughty wocks," he is also probably not referring to what you think. 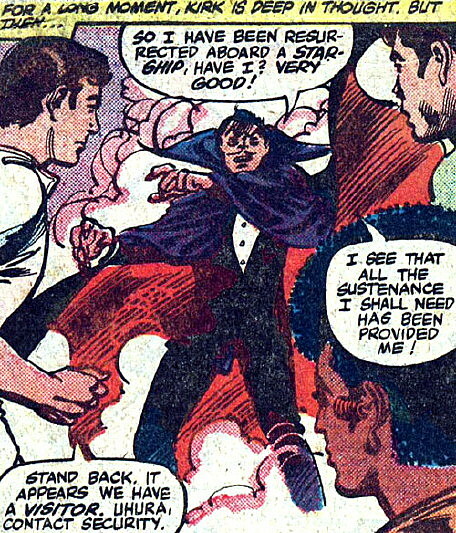 I don't care how frightened you think you've been in the past, you haven't been scared until you've had to deal with Space Dracula. 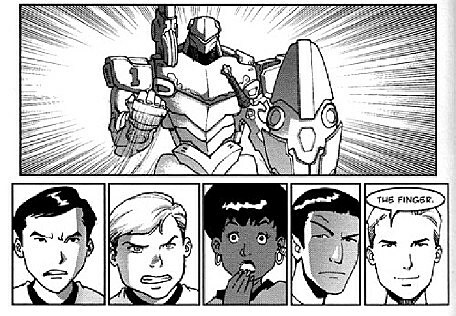 Unlike the future of Firefly where Chinese culture dominates, the 23rd Century of Star Trek is highly influenced by Japanese manga. 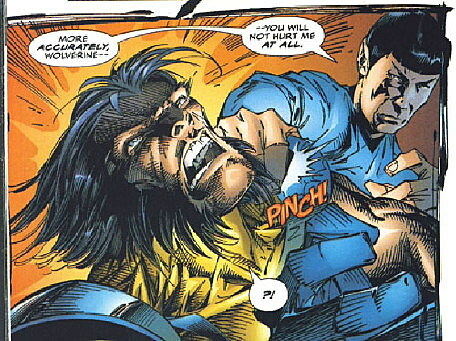 Before any of you ask, yes, his mutant healing factor does allow him to recover from the Vulcan Nerve Pinch sooner than oh God why do I know this?! Top: Kirk & Spock. 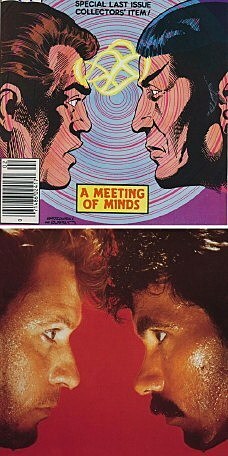 Bottom: Hall & Oates. Think about it, won't you? And thus, every other piece of Star Trek fan-fiction was born. You know what? 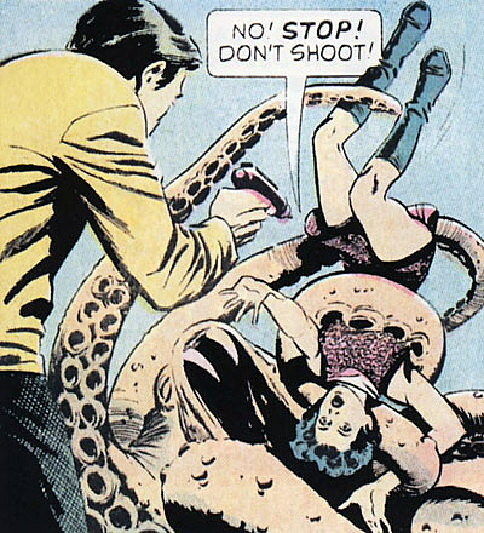 Forget the Prime Directive. Sometimes you just have to send Scotty in to show a street urchin in a jail cell what's what.